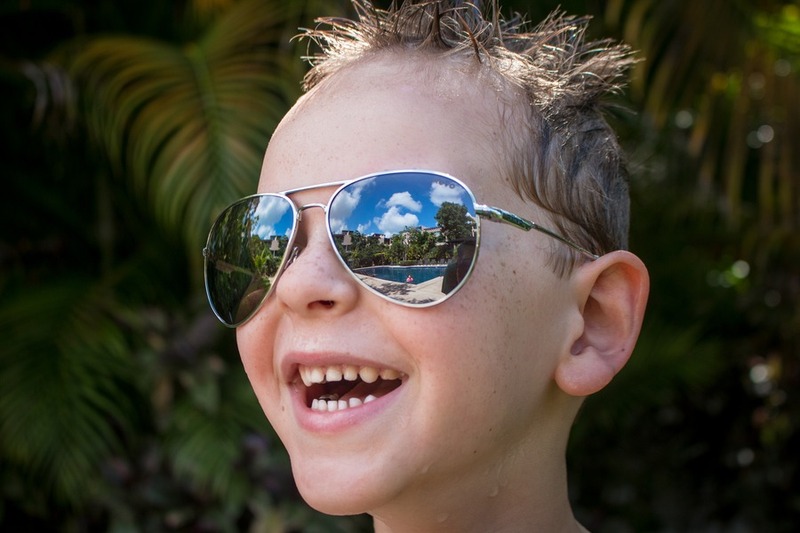 Home » Product Reviews » Do Sunglasses Built With NASA Technology Make A Real Difference? It was the summer of 1997. I was 17 years old. My Oakley Eye Jacket sunglasses were one of my few possessions that meant the world to me. We were inseparable. When I was body boarding amid cold, salty waves they were there. When I was riding my mountain bike to school they were there. That’s right. One evening while I was out with my girlfriend at the time (the now Mrs. Erin Bender) my family’s home was burgled and my dear sunglasses were stolen. Gone. Forever. Devastated and broke, I could only afford to replace my missing eye-bling with dodgy 5-buck street-market sunglasses. 2 bucks in Asia. Fast forward 19 years. 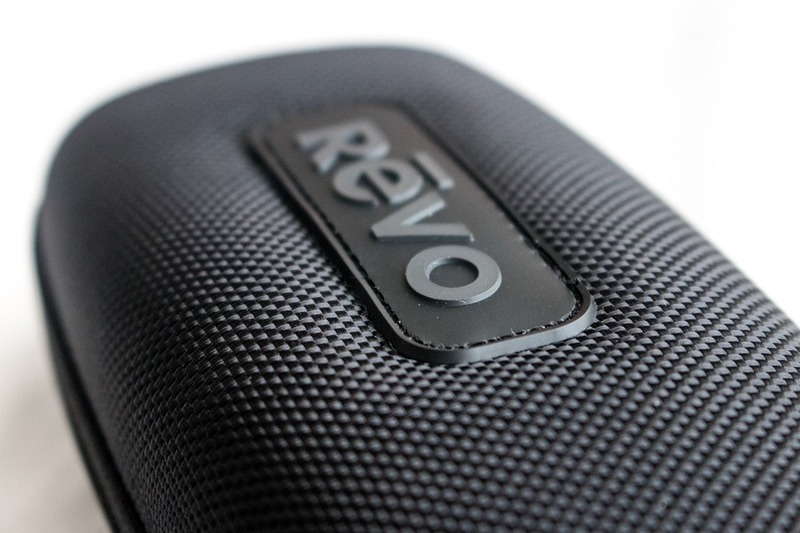 Revo reached out to us to see if we’d like to try a pair of their stylish sunglasses. My wife showed me their website which prominently featured Bono from U2 sporting eye-catching chrome aviators, finished with ice-blue lenses. There was no hesitation, my face finally found what it had been missing all this time (and no, I’m not talking about a smaller nose). Putting Revo sunglasses on for the first time was like placing frigid hands into toasty warm, well-fitted silk gloves. The smooth, refined arms didn’t catch in my facial hair, but gently slid over my ears. Improved clarity from the polarised lenses gave me newfound focus, minus the squinting, enabling me to see the tiny colourful gecko scrambling across the stony path near our condo, with intricate detail. I opted for the classically inspired Observer RE-1033 Chrome frames with Graphite lenses. While Erin selected the Paxton RE-1039 Tortoise frames with Green Water lenses. 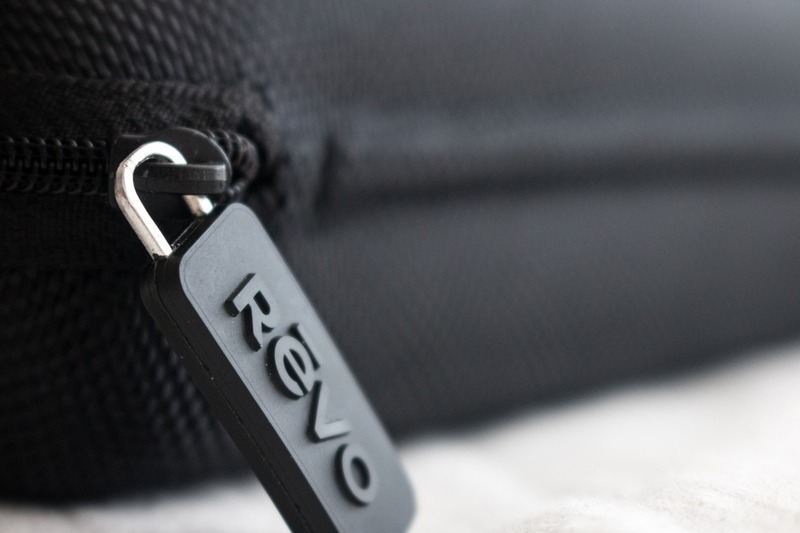 And while I could overwhelm you with intricate details about the ground-breaking lens technology and innovative Revo Light Management System (LMS™) developed with NASA technology, Revo does it much better so read all about it here. But what I’ll tell you is all Revo sunglasses are polarized, providing 99% polarization efficiency while blocking and managing UV and HEV light. This eliminates glare so you can see better. Much better. Lenses also all feature a mirror coating and LMS™ technology. This combination optimises the best usable light that passes through the lens, and provides outstanding performance for specific environments and activities. Black frames, tortoise frames, blue lenses, green lenses, graphite lenses. Mix and match to get the perfect style that’s right for you. This is no cookie-cutter, one-style-fits-all approach. These sunglasses are as unique as you. I work with light everyday as a photographer. And I know that not all light is equal – harsh, bright light from the mid-day summer sun on a beach is vastly different to ambient light in lush, subtropical forest environs. I use different camera lenses optimised for different situations, and it makes sense for sunglasses to be the same. If you love mountain biking, Terra is the best fit. Or maybe you’re going boating, choose Blue Water lenses. For long stretches of driving, Open Road is optimised for you. Contrasting the Revo sunglasses to the cheap alternatives I was familiar with was like comparing night and day. It’s one of those things that photos and words alone won’t be able to adequately communicate. You have to experience it for yourself. But now that I’ve had a taste of the good stuff, I can’t go back. I’m hooked. The first thing I noticed as soon as I picked up the sunglasses for the first time was the sturdy frame. There was a decent weight to them that felt good in the hand and on the face. Every detail has been well-thought-out – from smooth-moving hinge construction to perfectly crafted joins. Even well-crafted sunglasses are no match for 50+ pound luggage. I’m particularly fond of the elegant rigid case included with each pair of sunglasses. It provides peace of mind, preventing accidental damaged in our heavy luggage. And I have no concerns about these little beauties being crushed when I throw them in a backpack on our next adventure. To be honest, I can’t think of anything. Except why I didn’t get them earlier. And Erin has a little lens envy - she yearns for an icy Blue Water pair as a Bono-esque alternative to her Green Water lenses. I can’t blame her. High quality eyewear is investment in your vision. 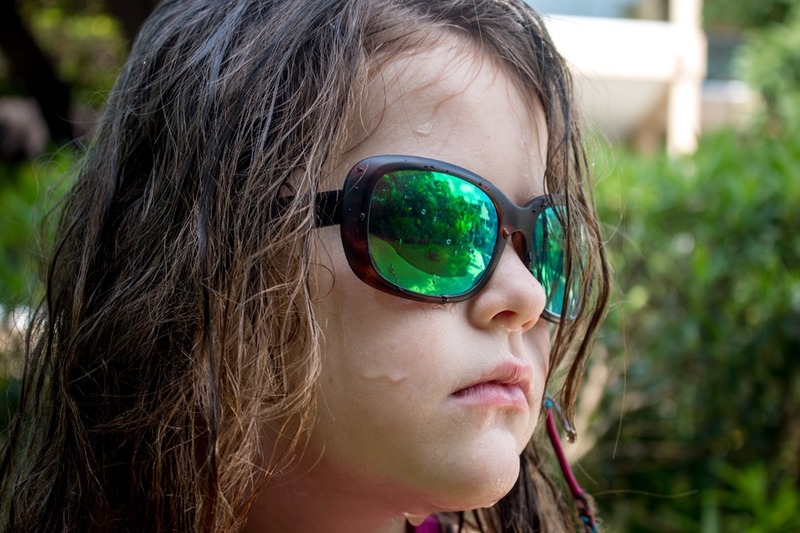 There’s no doubt, high quality sunglasses are not cheap. These Revo glasses are worth every cent. What I’ve been most surprised about after several weeks of use is how much they can enhance regular travel experiences. Simply seeing better makes me feel more comfortable and relaxed. A stifling hot beach in Mexico doesn’t feel that bad when I’m not squinting anymore. Seeing the true turquoise hues of the Caribbean Sea without harsh reflections brings a new level of inner harmony. And best of all, I’m looking awesome at the same time.